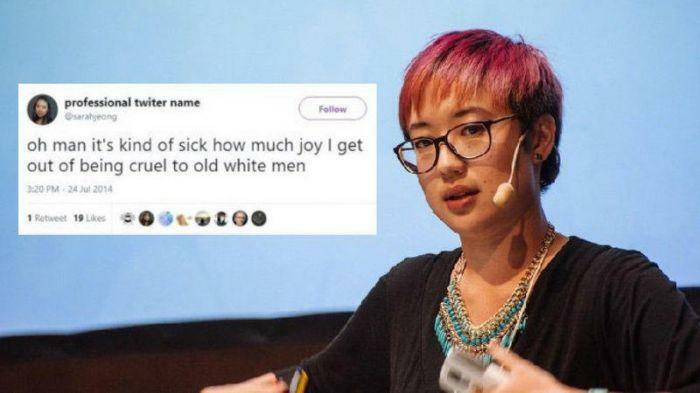 Twitter 'Endorses' NYT's Sarah Jeong "Being Cruel To Old White Men"
President Trump has finally confronted the Tech Totalitarians ['We won't let that happen:' Trump alleges social media censorship of conservatives, POLITICO, August 18 2018] and not a moment too soon. Right after the deplatforming of prominent Rightwingers like InfoWar’s Alex Jones (significantly, after he emerged as an immigration patriot) and Proud Boy chief and sometime VDARE.com writer Gavin McInnes, Twitter has chosen to “Verify” Sarah Jeong account with a “Blue Check” which, as TheWrap puts it, has "increasingly become a mark of endorsement by the social network," particularly after the company began to “unverify” accounts from people they deem as hate figures” without requiring her to delete her numerous savagely anti-white tweets. Quite obviously our Ruling Class is on the verge of institutionalizing discrimination against whites - the very people who elected Trump. How close are we to Jeong’s anti-white mindset being enshrined into law and dictating legal proceedings in US courts? Lawyers are already arguing in courts about white privilege being the motive behind their non-white clients’ murderous actions—even when directed against the very World War II veterans who fought fascism. 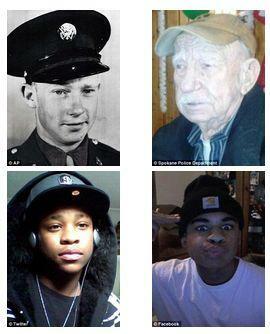 Thus a black career criminal was sentenced to jail in April for murdering a 95-year-old white World War II veteran - beaten to death with a flashlight and a clock later pawned for $22.50. The defense lawyer, a white woman named Caroline Durham,[Email her] literally argued that white privilege was a catalyst for the homicide. Albert Loehlein made wine from grapes grown in his backyard in Anoka, logged his own trees for the fireplace and made rugs with his mother’s loom set up in the basement. 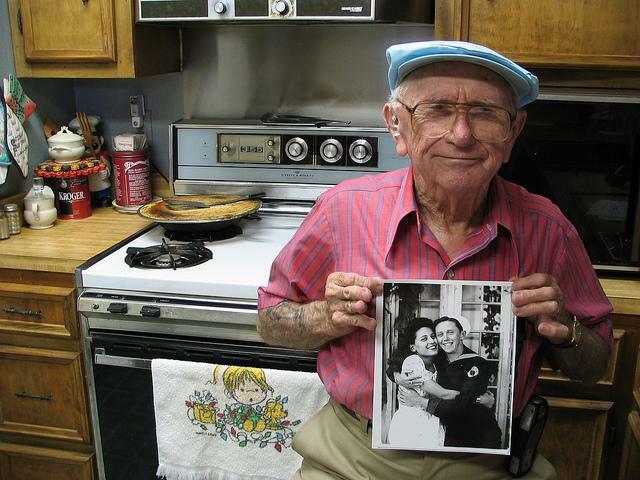 At 95, he could barely see or hear, but wished to live independently in the home he bought in 1945. It was there that he and his wife, Hannah, raised six children. Isaiah M. Thomas lived six blocks away. Over Thanksgiving weekend in 2016, Thomas crept into the WWII veteran’s home, beat him to death with a flashlight and a clock that he pawned for $22.50. On Monday, he was sentenced to life in prison, with a chance of parole after 30 years. Loehlein’s children urged the court to lock Thomas away for life. Thomas and his attorney, Caroline Durham, argued that prejudice had unfairly burdened Thomas his whole life. Thomas is black. Loehlein was white. [Defense attorney Caroline] Durham asked the court and those in attendance to reflect on Thomas’ experience as a black man. “Did they think, ‘There’s one of my neighbors?’ “ she said of Thomas’ life in Anoka. [Life in prison for man who killed 95-year-old Anoka resident: Judge orders life sentence for man who pleaded guilty in fatal beating of 95-year-old Anoka resident, Star Tribune, April 9, 2018. Remember Paul Monchnik? 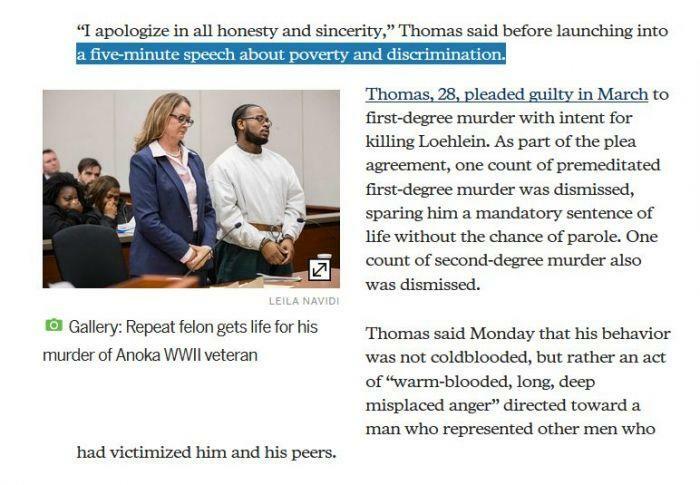 [Son of slain man, 91: 'Get this scum off the street', Detroit Free Press, November 23, 2015]. Remember George Greaves. [Teens Being Questioned in Elderly Man's Murder: Man shot in his driveway as he arrived home, NBC Philadelphia, August 20, 2010]. 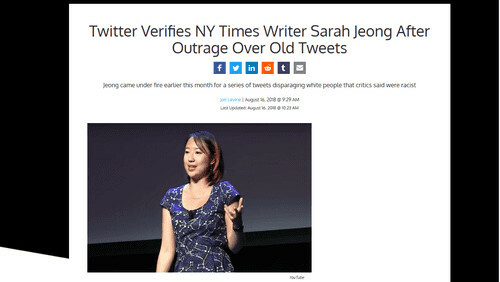 Sarah Jeong is on the New York Times editorial board even though she Tweeted about the joy she gets out of being “cruel to old white men.” Is this the kind of cruelty she meant? How far are we away from courts automatically accepting this “white privilege” defense as a legitimate reason for a black individual murdering a white person? Racism is the ultimate sin in America. No less a moral reprobate as Jeffrey Dahmer wanted the record to show that though he killed, murdered, engaged in necrophilia and ate people, he wasn’t a racist. It would be unwise to categorize this type of thinking as rare. The anti-white mindset is far more mainstream than most wish to admit. 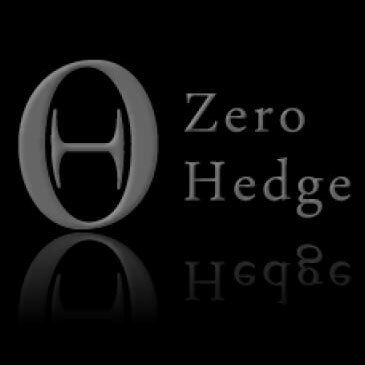 It has penetrated every level of power in private and public life.